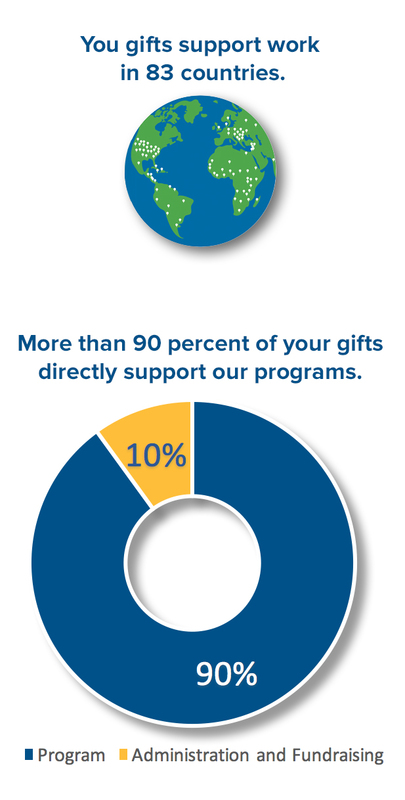 ELCA Good Gifts is your opportunity to provide critical support to the ministries and programs that mean the most to you and the people you love. Browse and choose the gifts that mean the most to you, or choose gifts to give in honor of friends and loved ones. If your gift is in honor of a friend or loved one, it’s easy to tell them about it. Give online and you may personalize free, printed cards to be sent directly to your loved ones. You may also select to send the cards to yourself, print them at home, or have them delivered via email. Card options will be available after checkout. Note: These options are only available when you give online. Every project in every community starts with listening. We believe that our congregations, companion churches and partners know their communities best. That’s why they identify the needs and priorities in their communities, as well as the solutions they believe will make the biggest impact. 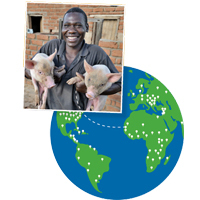 The items in this catalog are real examples from projects currently supported through different churchwide ministries. The projects have been planned by our partners – meaning that each community receives exactly the kind of support they need and none of what they don’t. Your donation will be used where it is needed most within the wider category of each gift you’ve selected. (For example, a gift of vaccinations may be used to support other health care initiatives.) This allows our church to stay adaptive, flexible and effective in the work that we do. Because we seek to honor your generosity and keep administrative costs low, we do not track individual financial gifts to specific families or locations in the U.S. or abroad. Questions? Read answers to Frequently Asked Questions or give us a call at 800-638-3522, or email us at info@elca.org.